HOPE Unlimited’s Instagram page: @helpingpros provides strategies and encouragement through photos, graphics, videos and IG stories specifically for helping you excel and exhale at work. 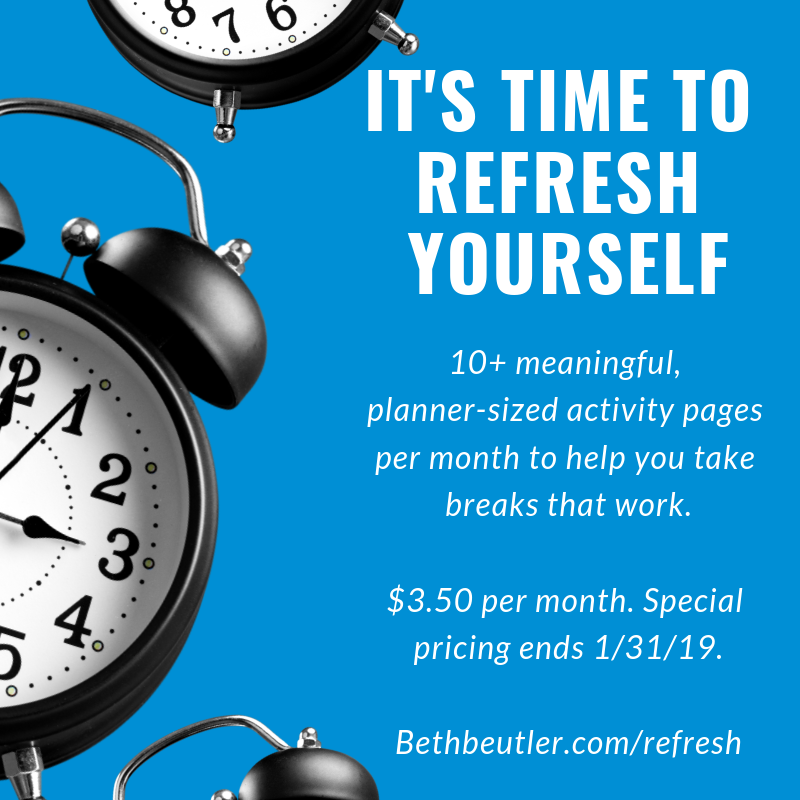 I’ve been sharing about Refresh, a new membership where I help you “take a break that works.” You can click here for all the details, but the essence is that I provide simple worksheets (that can easily fit in planners) that help you take a few meaningful moments in your busy day. Normally, this membership is $5 a month, which gets you the full packet emailed from me. But for a limited time, to celebrate the launch of this program, you can become a Refresh member for ONLY $3.50 a month…permanently. I hope you’ll join me as a member of HOPE Unlimited this year!